After a dreary weekend, I am well and truly looking forward to spring. I've tried to bring a few bright bits and pieces into a few corners of the house. Something as simple as daffodils, so cheerful, can make all the difference and I picked up a sunshine coloured soft throw for £5 from Asda, which Ethan likes to play hiding with - and hope that we can freshen up our hallway soon too. Continuing with my love of yellow, following my new leather Cath Kidston handbag featured in my last round up, and the daffodils, I'm also the proud owner of a Kikki K planner. Oh, how I have drooled over these since I first discovered the brand, via Jocelyn at The Reading Residence and her weekly #SundayStationery posts. And after trying a few different diary formats, I've realised that a planner, and a full size one at that, is what really works best for me and how I like to plan things daily, weekly and monthly. 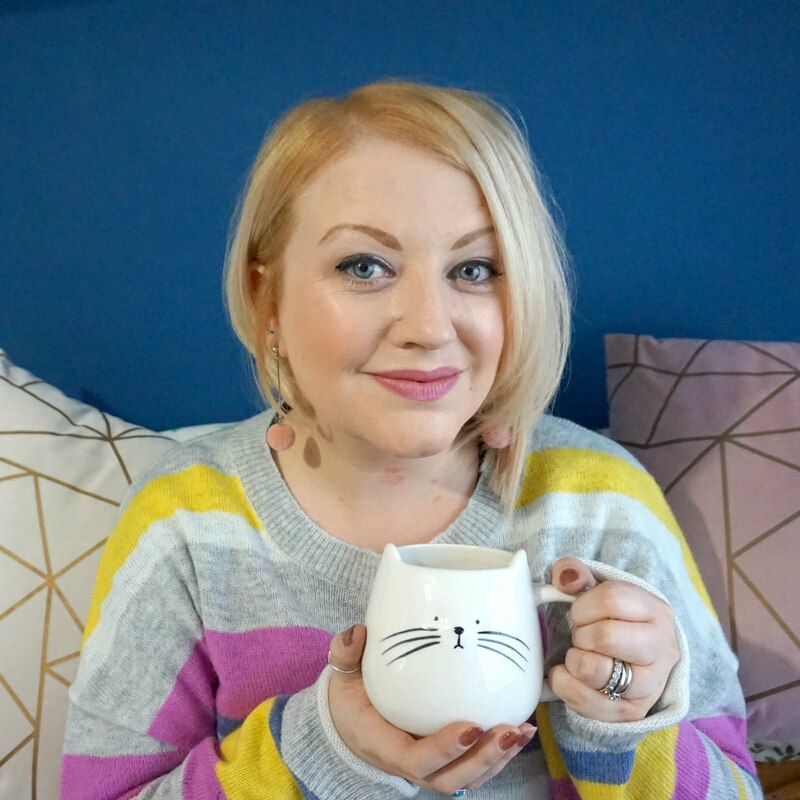 Another blogger pal and planner fan like myself, Emma from Summerfield Cottage and Us, has also just treated herself to a Kikki K and we're planning a joint planner post soon, so watch this space. Inspired by lovely ladies like Kerri-Ann from Life As Our Little Family, and my old favourite, CK, I've decided to give dungarees a go. I figure that they were my go-to outfit of choice when I was 10, and Ethan looks pretty damn cute in them, so why not me?? I wasn't sure if I could pull them off, but I've decided that really doesn't matter. Life's too short and I'm just thinking that now I'm in my 30's, anything goes. I picked these up in the CK sale and oh my, are the comfortable. Who knows if this will be one of those things you look back on in years to come and think 'what was I thinking?!' - although I have a feeling that I won't ever really look back and regret too many things. I've been pretty good at keeping up with one of my aims for the year, in making my breakfast and lunch most days for work and generally making healthier choices. For me, it's all about getting into good habits, and I find Sunday's are good for preparing for the week ahead and making meals a bit bulkier helps so we can have leftovers the next day. What I am finding is that I have less time to make my juices and smoothies. I'm blaming it mainly on the dark mornings, although the preparation juicing in particular requires really puts me off too, especially when I'm in a rush. There's a new health drink available from Selfridges, and a few other places soon too, that I've tried two flavours of. It's called Modo and it's a cold pressed matcha green tea (RRP £2.99). I've heard quite a lot about matcha and its benefits from the eat clean movement, and was keen to try it out myself. It's well-known for being rich in antioxidants and combined with raw fruit juices, Modo packs a potent punch. It does taste quite 'green', so if you're not used to green juices, this may not be for you. The pineapple version was my favourite, although this and the lemon variety were both refreshing and really handy to have on the go. Just make sure they're chilled! We spent the weekend at home, as the weather did nothing to entice us outside. I ventured out on Saturday to do the food shop but was glad to get home in the warm again. A nice bowl of soup and some cheese sandwiches all round, just what we needed! We did then have to venture out again, just to the bottom of the road, to take little man to the barbers. We'd tried to take him for a couple of weeks and finally, we got there when it wasn't too busy. He sat like a star on Daddy's lap and kept asking where his hair had gone, which made us laugh. For the rest of the weekend, we played, we coloured and we read books. Ethan was recently sent two best-selling books for toddlers from our favourite bookshop, Waterstones. Hubs and I have always loved spending hours wandering around Waterstones, and we were spoilt at having two beautiful stores in Birmingham, but one has now been sold on. Nevertheless, we love popping in whenever we are in town, usually without anything specific in mind. The children's section has always been impressive and we've built Ethan's pretty impressive library up bit by bit. The first new book Ethan's been reading is dinosaur related - surprise surprise! It's called The Dinosaur That Pooped the Bed, by two of the McFly boys. Ethan has The Dinosaur That Pooped A Planet and so this latest book has been welcomed to his collection. He's getting to the age where he's understanding humour, and the humour of anything relating to poop, so he's been giggling a lot at this. Ethan's had this second book for a while actually, and with penguins being one of his favourite animals, it's one of his favourites too. Blown Away is beautifully illustrated, with the text flowing around the pictures, giving little ones lots to follow as the story progresses. It's one of those books that you know you'll want to keep, even when toddlers turn into teenagers. We ended the weekend with some baking - something I've never really done with Ethan before. He made a great baking buddy and the cupcakes we made on Saturday and cookies we made on Sunday went down very well indeed. Like the weekend. I wish there was more of them.